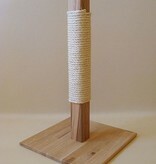 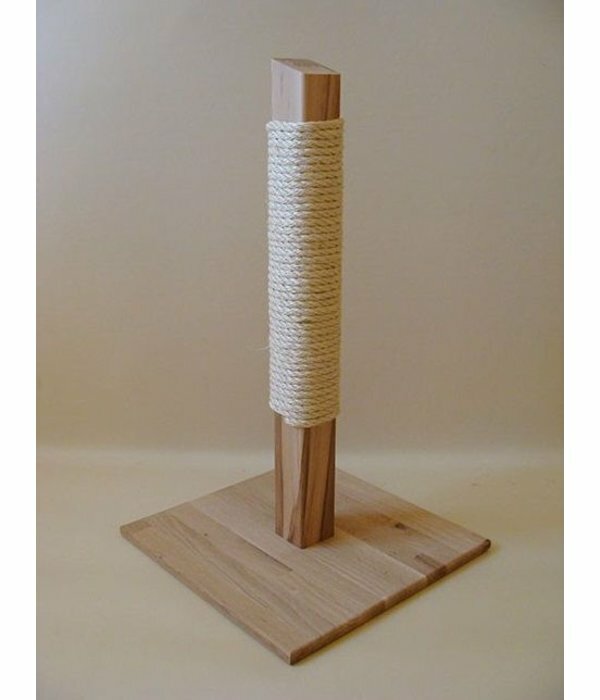 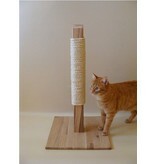 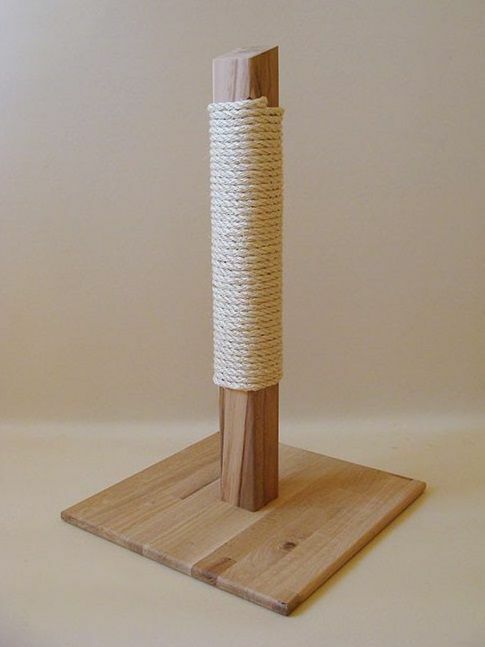 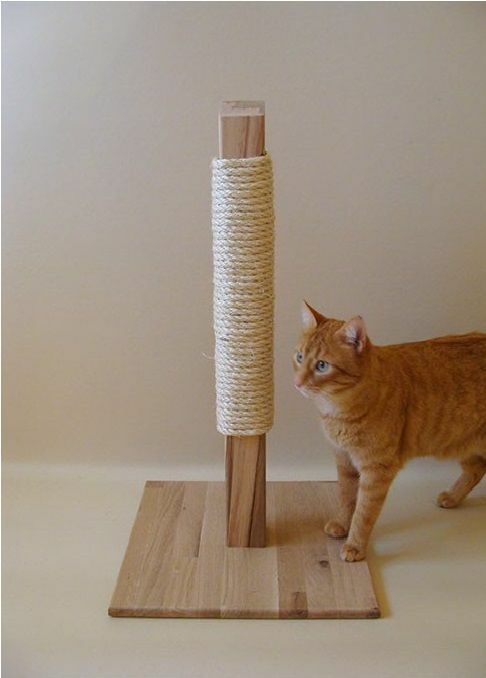 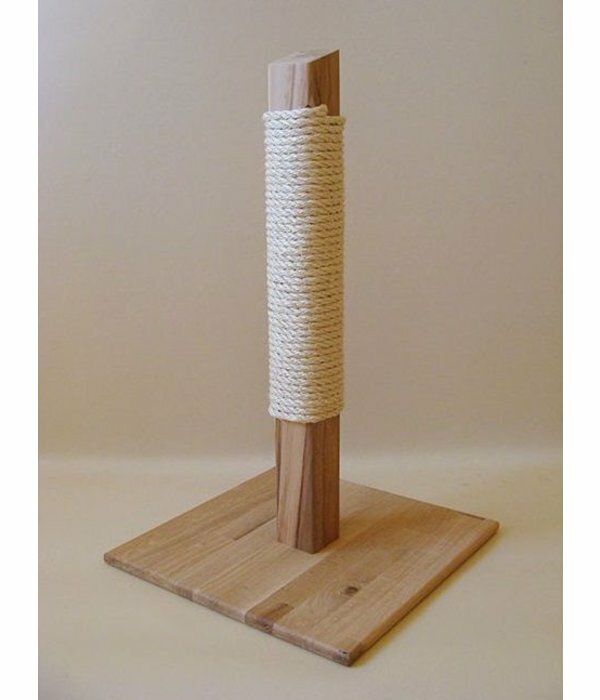 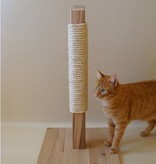 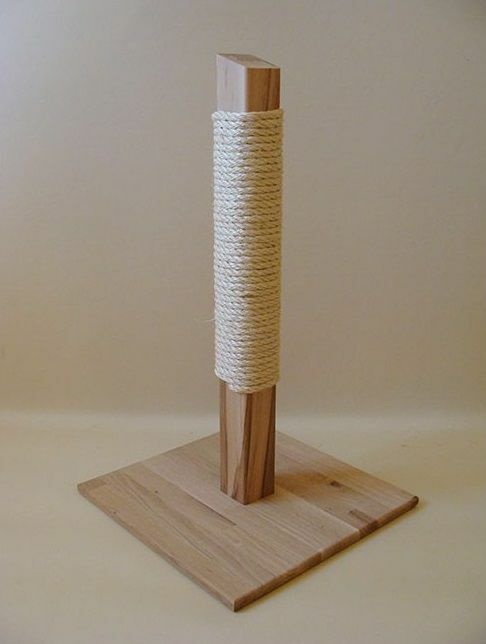 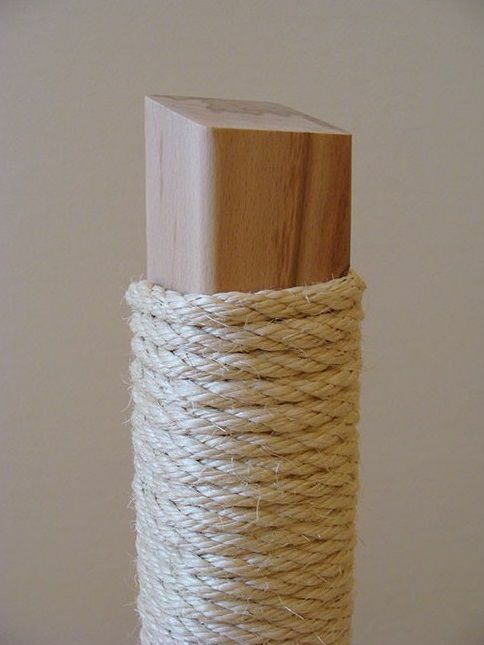 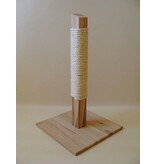 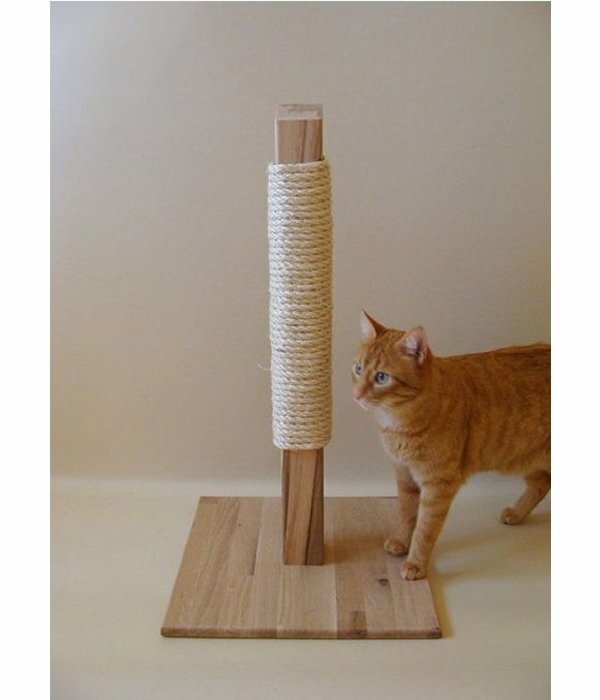 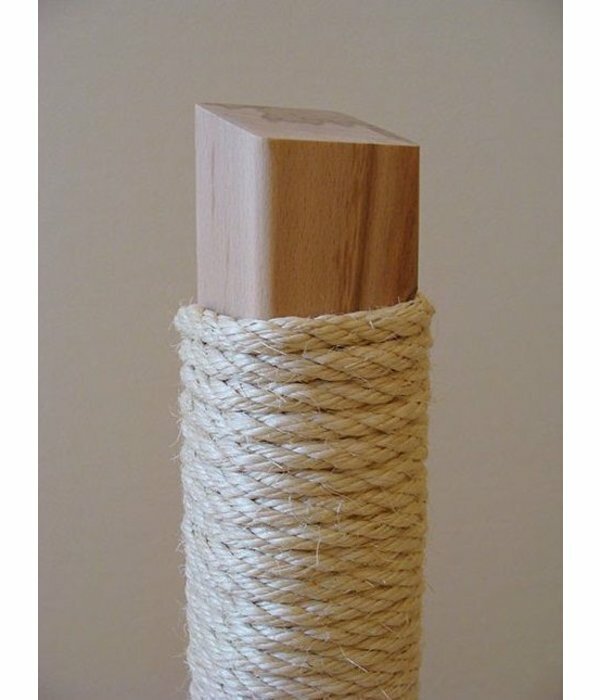 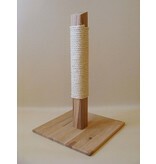 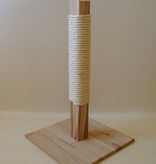 The 'Nature' scratching post is in solid beech wood (approx 6,5x6,5cm thick) with a base in solid oak (approx 40x40cm). 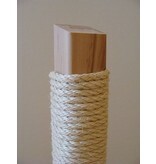 The total height is about 80cm, of which about 50cm is covered with 8mm thick sisal. 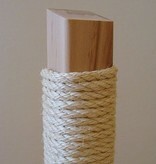 The wood color may differ from the photos, since each piece of wood is unique.